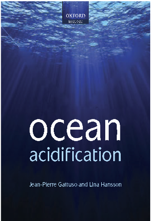 Ocean acidification, the ongoing decline of surface ocean pH and [CO32-] due to absorption of surplus atmospheric CO2, has far-reaching consequences for marine biota, especially calcifiers. Among these are teleost fishes, which internally calcify otoliths, critical elements of the inner ear and vestibular system. There is evidence in the literature that ocean acidification increases otolith size and alters shape, perhaps impacting otic mechanics and thus sensory perception. However, existing analyses of otolith morphological responses to ocean acidification are limited to 2-dimensional morphometrics and shape analysis. Here, we reared larval Clark’s anemonefish, Amphiprion clarkii (Bennett, 1830), in various seawater pH treatments analogous to future ocean scenarios in a 3x-replicated experimental design. Upon settlement, we removed all otoliths from each individual fish and analyzed them for treatment effects on morphometrics including area, perimeter, and circularity; further, we used scanning electron microscopy to screen otoliths visually for evidence of treatment effects on lateral development, surface roughness, and vaterite replacement. Our results corroborate those of other experiments with other taxa that observed otolith growth with elevated pCO2, and provide evidence that lateral development and surface roughness increased as well; we observed at least one of these effects in all otolith types. 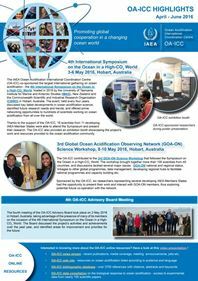 Finally, we review previous work investigating ocean acidification impacts on otolith morphology and hypotheses concerning function, placing our observations in context. These impacts may have consequences teleost fitness in the near-future ocean. Holmberg R., Wilcox-Freeburg E., Rhyne A. L., Tlusty M. F., Stebbins A., Nye Jr. S. W., Honig A., Johnston A. E., San Antonio C. M., Bourque B. & Hannigan R. E., 2018. Ocean acidification alters morphology of all otolith types in Clark’s anemonefish (Amphiprion clarkii) PeerJ Preprints 6: e27040v1. doi:10.7287/peerj.preprints.27040v1. Article.